We are well-renowned as one of the prime Industrial Shaper Machine Manufacturers in India. The Geared Shaper Machine is manufactured using optimum quality materials to ensure high durability, tensile strength and resistivity to adverse conditions. Various national as well as international clients are placing bulk orders for the Shaping Machine due to the unmatched quality and unsurpassable performance. Additionally, Shaping Machines offered by us comply with the international quality norms. 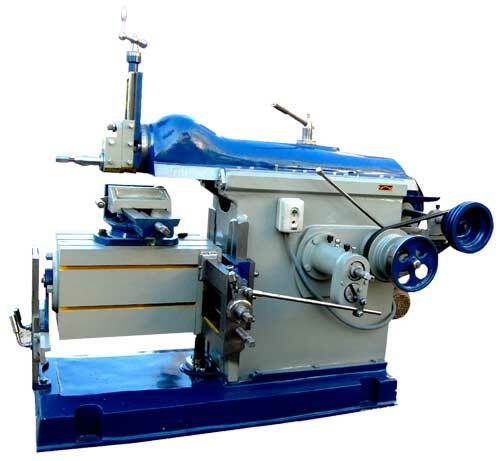 We manufacture & supply Shapping Machines in sizes 12", 18", 24", 30", 36" & 42" stroke in v belt driven machines.